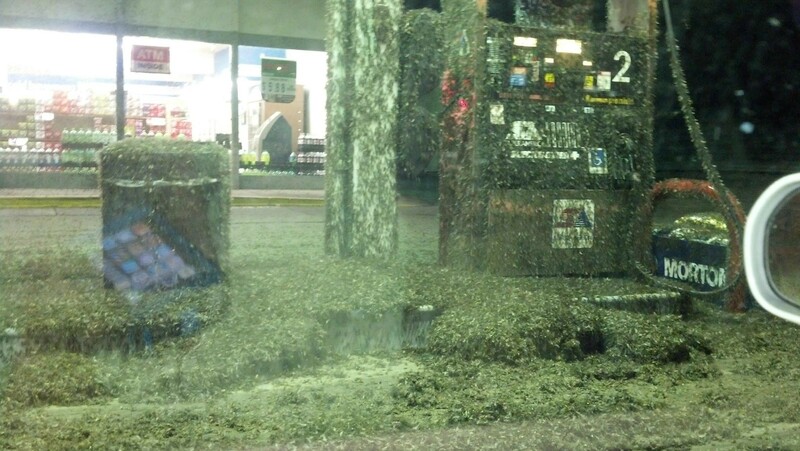 Apparently, mayflies live for about a day. During that day, they swarm pretty badly, like so. Click the image to enlarge.